New Zealand-led research has shown a link between the meningococcal group B vaccine (MeNZB™) used here between 2004 and 2008 and a reduction in cases of gonorrhoea. 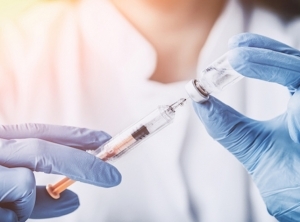 The research, led by Dr Helen Petousis-Harris of the University’s Faculty of Medical and Health Sciences, has found exposure to the meningococcal group B vaccine during a New Zealand mass vaccination campaign was associated with a reduced likelihood of contracting gonorrhoea, compared with unvaccinated people. It is significant because so far efforts to develop a vaccine against gonorrhoea have been unsuccessful despite more than a century of research. But population data suggests there is a decline in gonorrhoea immediately after the use of the outer membrane vesicle (OMV) meningococcal group B vaccine in New Zealand, as well as Cuba and Norway. The need for a gonorrhoea vaccine is now desperate as gonorrhoea has recently developed into a ‘superbug’ with some strains now resistant to all available treatments. Due to a devastating epidemic of meningococcal disease in New Zealand, approximately 1 million individuals (81 percent of the population under 20 years) received the MeNZB vaccine, during a mass immunisation programme in 2004-2006. The vaccine was made from the outer membrane (OMV) of the meningococcal group B bacteria that was causing the epidemic. The researchers used data for all people aged 15-30 who had been diagnosed with gonorrhoea or chlamydia, or both, at 11 sexual health clinics across New Zealand and who were eligible to receive the MeNZB vaccine during the 2004-2006 vaccination programme. The study was a case-control study that compared people with gonorrhoea to those with a similar disease (Chlamydia) to see if vaccination exposure differed between them. A total of 14,730 cases and controls were included in the analysis (1241 cases of gonorrhoea; 12,487 cases of chlamydia; 1002 cases of co-infection). Vaccinated individuals were significantly less likely to have gonorrhoea than controls. Taking into account all other factors such as ethnicity, deprivation, geographical area, and gender, the researchers conclude that having previously received the MeNZB vaccine reduced the incidence of gonorrhoea by approximately 31 percent. The study has just been published in prestigious journal The Lancet. Dr Petousis-Harris, says: “Our findings provide experimental evidence and a proof of principle that an OMV meningococcal group B vaccine could offer moderate cross-protection against gonorrhoea. MeNZB was developed to control a meningococcal disease epidemic and is no longer available, but the OMV antigens thought to provoke the immune response to gonorrhoea have been included in the more recently developed 4CMenB vaccine, available in many countries. New Zealand may see the availability of this vaccine in the near future too. It will be important to elucidate the mechanism behind this protection and also prove that other OMV vaccines have a similar effect.